All of u knows the drift king Keiichi Tsuchiya, can u give me pictures of his helmet (the green one) to try make a skin, or is there already such a skin? UPDATE: Moved public notice so that it doesn't show on the visor. Last edited by garph, Fri, 13 Apr 2007 11:34 . Hi, I was wondering if someone could make me a Prost helmet and a Senna helmet. Please PM me with the links to the helmets, Thanks! do you mind if i edit it so that it looks ok with the new helmet model? The NASSA Team Helmet, designed so each driver can use different colors to the base design. Comments Welcomed. Last edited by AtomAnt, Fri, 13 Oct 2006 22:01 . Very nice works!!!! .... can somebody make Nelson Piquet (the great one!! LOL ) .helmet??? 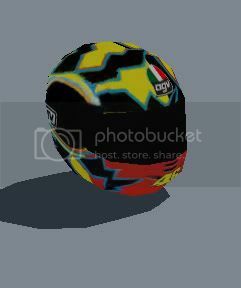 here's my small contribution for this great game, an Ayrton Senna helmet, it's not really "historically" correct (every year there were minor changes on the helmet) but I like it. Here are two of mine. First one is my personal helmet. Second is a preview pic of Schumacher's helmet I'm making, but I won't finish it I'm affraid. If anyone else wants to finish it, go ahead (as long as you keep my name on it :P). See attachment 3.
look what i found on the internet ! is Jam'ez's helemt based on this one? anyways nice job. 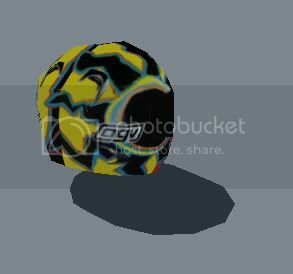 Quote from Bean0 : Another Senna helmet. Be careful of the copyright KaverL !! Are you working there? Great source of helmet design by the way! can you post his clothes?